Opening address, 32ndConference of the European Cetacean Society, La Spezia, 8 April 2018. I was given the honour of addressing the opening of this Conference and I thought this was a great opportunity to consider why are we doing what we are doing when we contemplate marine mammal science and conservation in this part of the world’s oceans. The Mediterranean Sea happens to be home to the earliest known marine mammal science, more than 2000 years ago with Aristotle. However, ecological science useful for conservation was only born in this region about 30 years ago, more or less at the time when marine conservation started to be perceived as an imperative (which was also about when the European Cetacean Society was born). 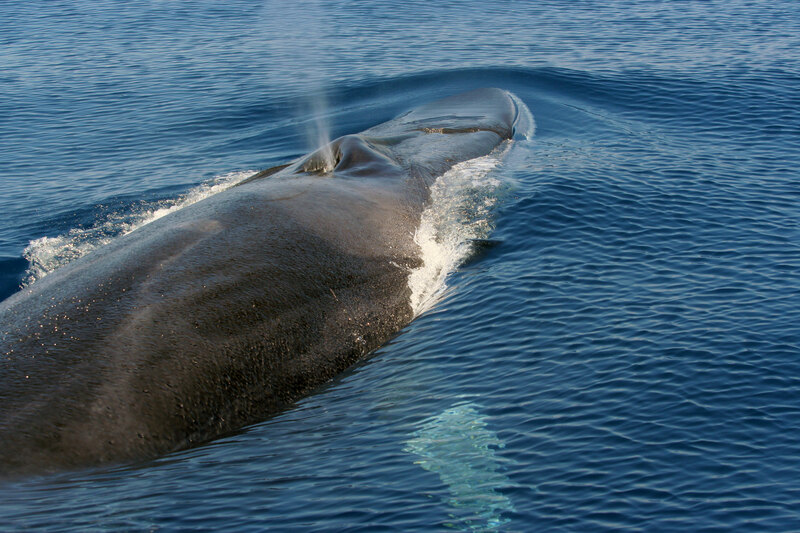 Huge strides were made in these three decades, from not even being sure about what were the regular marine mammal species in the Mediterranean, to one of the world’s regions where marine mammal ecology is most studied. Let’s not be too proud: in spite of all this progress we are still far behind, and unfortunately we know less than what we need to know to do a proper job in support of the species’ wellbeing. Why? Because what we know is strongly biased towards the western Mediterranean, and even there it is almost exclusively limited to summer. When considering highly mobile species, such as the Mediterranean cetaceans which are listed in the Appendices to the Convention on Migratory Species, this is clearly inadequate. It is like being locked in a cabin and trying to understand what happens in the outside world by watching through a keyhole from noon to 4 PM. Still, we have learned a lot compared to our previous state of ignorance. We have applied Distance and photoID-based mark-recapture methods to gain absolute population numbers and start attempting to detect trends. We have applied genetic analyses to understand population structure. We have applied satellite tagging to detect movements and migrations. We have applied mathematical models to derive habitat preferences. We have placed hydrophones in the water to see what could be gleaned on the whales’ ecology from the sounds they make. And the list could continue. This scientific fervour has almost invariably sprung out of passion, and from within civil society, which has not prevented the construction of knowledge on the basis of high standards, warranting publication on authoritative peer reviewed journals. People were highly motivated by the fascination of the animals and by a strong desire of doing something good for them, as if to apologise for the damage marine mammals receive from having to coexist with us humans in this region, like from fishing, shipping, industrial and military noise, poison, plastic, poisoned microplastics, and disturbance. The only sin we must not apologise for is whaling, because (with only one short-lived exception just outside of Gibraltar) the Mediterranean people have never engaged in the bloody business of commercial whaling. Whatever we wish to apologise for, it is hard not to see an ethical element at the root of this investigative fervour. As a result of all this effort, and cognizant of the many threats impinging on Mediterranean marine mammals deriving from human pressure of various kinds, what do we know about their status? We know that seven of the 12 regular species are listed as threatened in IUCN’s Red List. Of the five remaining, three are Data Deficient and two are still unassessed. In case we were wishing one day to describe to our grandchildren our generation’s accomplishments with a minimum of pride, we’ve got to do better than this. Not only we are not too good at doing much for the species that we know are threatened; we are not even sure about the status of more than 40% of the mammals swimming in the Mediterranean. International institutions also stepped in to support conservation. First came the Barcelona Convention and its SPA/BD Protocol, particularly with its 1995 revision, including all marine mammals in the Protocol’s Annex II. As far as the European waters are concerned, there also came the European Union with the Habitats Directive, and later with the Marine Strategy Framework Directive, mirrored by the Ecosystem Approach Process by initiative of UNEP’s Mediterranean Action Plan. But, with the Habitats Directive at least, EU lawmakers were mostly looking north. So it was that amongst cetaceans only bottlenose dolphins and harbour porpoises where included in the Garden of Eden of Annex II to the Directive, and they still are there alone, a quarter of a century later, with everything else left out in the communitarian cold. Then came the Pelagos Sanctuary, which was the world’s first High Seas MPA as well as an international miracle. We need to work in earnest within the widest collaboration framework to obtain that Pelagos will achieve the goal it was declared for, otherwise it would be a terrible and unforgivable waste of opportunities. We should use Pelagos as an extraordinary natural laboratory to experiment on international marine conservation governance; but I don’t see much of this going on at the moment. Then came ACCOBAMS, which has done wonders through the personal commitment of individuals in the Secretariat and in the Scientific Committee, and the vast body of science and law experts orbiting in their entourage. But in the end any agreement is not amongst committed persons, but amongst states, which constantly juggle priorities between exploitation and conservation, with a strong penchant for the former. As if conserving the natural world were only a secondary, quasi negligible need of the people these states represent. The good thing is that today we know better than before where we want to go, and we are in a much better position for doing so than when we started. Now comes the more encouraging part of what I want to say. First, the advancement of knowledge of marine mammal abundance and distribution. This summer, through the efforts of ACCOBAMS, at long last we will have the first synoptical, pan-Mediterranean survey, which is fantastic, and we all have great expectations from the survey’s results. Such a survey, taking SCANS as its model, was already advocated by Recommendation 2.19 on the fundamental need for information on abundance and distribution of cetaceans in the Agreement area, adopted during the 2nd meeting of the Scientific Committee in Istanbul in Nov 2003 – the one which was disrupted by a bomb shattering the glasses of our meeting room. So it has taken 15 years and some adventures, but now it is happening. But the ACCOBAMS Survey Initiative, wonderful as it is, will only be a summer snapshot. A snapshot is great but is not enough, we need a video! We need to stop looking at things from keyholes and get out of the cabin. We are not asking for the moon. We can do it, there are no major technical hurdles we need to overcome to do it, all we need is the support for doing it. We also must not forget to constantly develop and apply new ideas, new technologies. An Economist issue which appeared last month gave a dizzying overview of technological innovation becoming available today to monitor all things oceanic, some of which is also applicable to the progress of marine mammal science. Getting a clear picture of year-round and Mediterranean-wide whereabouts and abundance of all regular marine mammal populations is urgent, particularly considering the ongoing visible change due to the many persisting pressures and climate effects. Second, cooperation. The theme of this conference is about Forging Effective Strategic Partnerships. When thinking of partnership, we should try to think out of the box. The world is much richer and more complex than the commonplace binomials “donors/scientists”, or “government/academia”. Alliances and cooperation can come from many sectors of society, hitherto unsuspected or unthought-of, most notably from within the private sector, which can at times be more proactive than the traditional characters. Think of all the big US industries that have declared their intention of respecting the Paris climate accord by their own volition, regardless of the Federal Government’s negationist attitude. 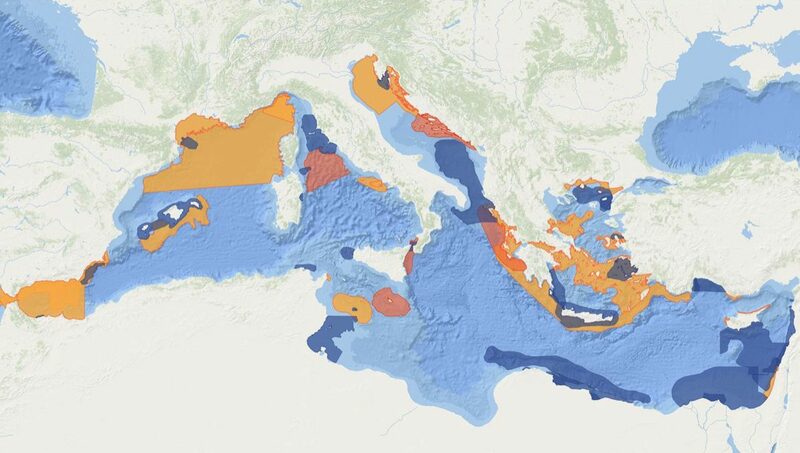 For example, by initiative of the IUCN Task Force on Marine Mammal Protected Areas, in cooperation with ACCOBAMS and with the support of the MAVA Foundation, Important Marine Mammal Areas (IMMAs) have been identified in the Mediterranean in 2016, and continue to be identified in other parts of the world’s oceans such as the Southern Hemisphere, with the support of many organisations, most notably the Government of Germany and Eulabor. IMMAs are where the best available science tells us to pay attention, because they are important for one or more marine mammal populations. Meaning that if we affect those areas with activities that are potentially harmful to mammals, we are likely to damage them. IMMAs need everyone’s cooperation to work. Governments of course can decide to ignore them, or can decide to do something about them – as was resolved by those governments that are party to the Convention on Migratory Species a few months ago. But my hope is that IMMAs will work more with the spirit of the carrot than with that of the stick, and that everyone who uses the sea for whatever reason will realise that not harming marine mammals in their special homes is the only right thing to do. Third, let’s be mindful that our motivation is passion, because this is how it has been since the beginning, and the main force that has led to the current gains. 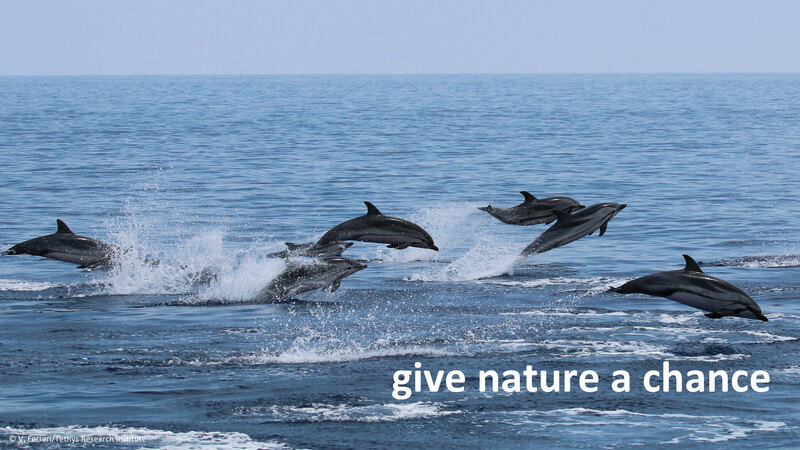 We should recognise that what is binding us together is the vision which is shaping the goal we are striving to attain, of a Mediterranean Sea frolicking with life, marine mammals included. We want the Mediterranean to be even better in the future than how we knew it when we first started, or better even, how Aristotle knew it when he was making his observations more than 2000 years ago. 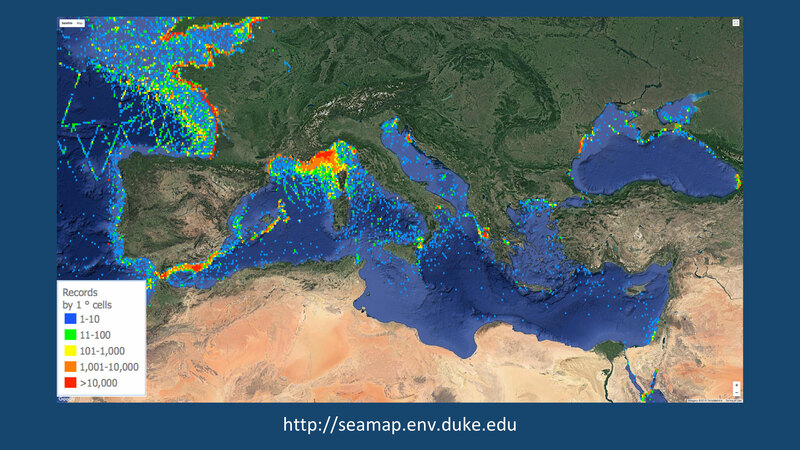 We want the Mediterranean to be like we know it can be, and should be. What remains to be done, then, is to transmit our passion to the public outside. Listen to the energy contained in this room, buzzing like a bee-hive. This is not just the fascination for marine mammals, which is there already, because marine mammals are highly charismatic, as we know. It is the imperative that nature and wildlife must be protected that must become more widely shared. What must happen is that protecting nature and wildlife becomes a widely shared moral imperative, simply because it is the only right thing to do. This is because protecting nature and wildlife would leave their “natural goodness” intact, as philosopher Philippa Foot would have said; and we should do this not simply because it is to our own advantage, although it clearly is. It will only be after the women and men in the street will have embraced this concept, that decision makers will be compelled to do, in turn, the right thing. And by doing it, rather than only be talking about it, they would help to transform in reality what is now only our vaguely distressing utopia.